Internationally respected manufacturer JAMES GASKETS will be among the market leading custom v-twin specialists looking forward to welcoming dealers, custom bike builders and riders to their booth at BIG BIKE EUROPE in May 2013. 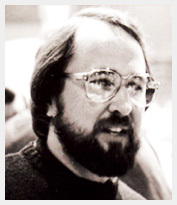 Founded 35 years ago in California by the late James Clark, the company is still owned and operated by the ex-Harley-Davidson man's family, at a 54,000 sq ft state-of-the art facility he moved the business to in 1999. 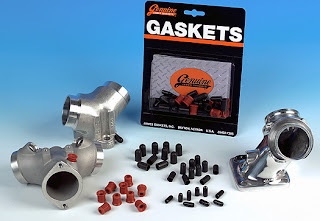 James are noted for their range of gasket and seal products, advanced materials and manufacturing processes, many of which were pioneered by the company's own engineers, and their iconic "gasket board" program - no self-respecting v-twin industry workshop or dealership should be without one! BIG BIKE EUROPE is an all-new 'Pro-Grade' expo concept for the motorcycle industry in Europe, with the primary focus being on parts, accessories, custom, performance, service, workshop and tuning. A 'non-retail' expo, BIG BIKE EUROPE is the new, permanent host event for the acclaimed AMD World Championship of Custom Bike Building (2013 will see the World Championship mark its 10th anniversary and first ever appearance in Europe), and will stage the first annual International Motorcycle/Custom Industry Conference. BIG BIKE EUROPE will be a three day expo offering exhibitors an all-new Invitational/Open-admittance attendance strategy. The first day (Friday May 10th, 2013) is an "Invitation Only" day set aside for motorcycle dealers, custom shops, custom motorcycle builders and customizers and their invited 'VIP Riders'. The weekend (Saturday 11th and Sunday 12th) is open to general public, rider and enthusiast attendance. It is estimated that some two thirds of the value of the European motorcycle market resides with the owners of Europe's 'Big Bikes' - the one-third of motorcycles of over 250cc (source: ACEM). In addition to a local population of some 18 million "high percentage motorcycle ownership" consumers within a 100km radius of Essen, Germany (where BIG BIKE EUROPE is being staged) research suggests that some 60 plus percent of Europe's franchised motorcycle dealers and custom shops are within a three or four hour ride of Essen; with some 65 percent plus of Europe's large displacement road-registered motorcycles of all kinds, including Harleys, being within a 400 to 500 km radius of the venue (sources: International Motorcycle Industry Index, Moto Big Book, AMD Magazine, International Dealer News).